Education is one of our main focuses here at Potter Park Zoo. 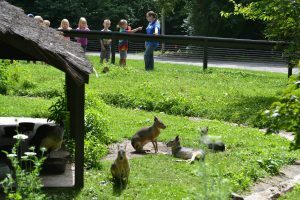 Check out our award winning education programs that will inspire conservation of animals and the natural world for both students and adults. If you’ve been looking for a way to engage in place-based learning with your students, look no further! 2 @ the Zoo is a unique way for classroom teachers and other educators to have an immersive, two day experience for their students using the zoo as their classroom. 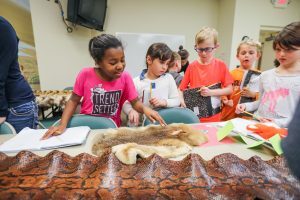 Our extended learning classes are perfect for teachers, other educators, and scout troops who want to spend a fun-filled day learning about wildlife. 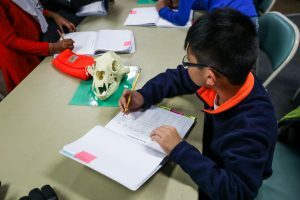 Structured to meet the needs of your school’s curriculum and MEAP objectives, we offer teacher-designed programs on adaptations, food chains, and animal classifications. Make arrangements for your program today by contacting jhorvatin@ingham.org or (517) 342-2713.